Barbara Myers is an independent journalist and author of "The Other Conspirator," the story of Daniel Ellsberg’s co-defendant in the Pentagon Papers trial. 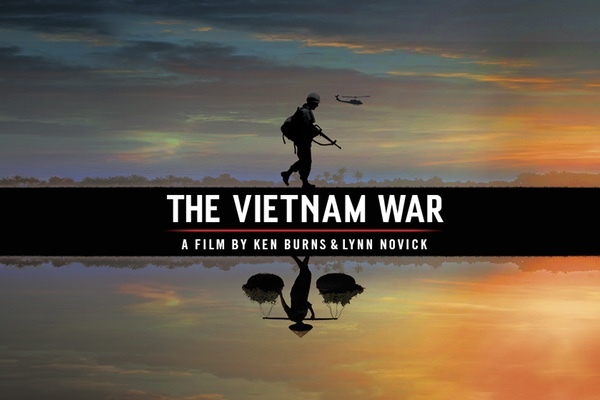 In a critique I wrote last fall of Ken Burns and Lynn Novick’s The Vietnam War, I took the filmmakers to task for failing to expose the essential and damning truth of Vietnam: that the U.S. instigated a war of aggression that resulted in the deaths of three million Vietnamese, including more than 2 million civilians. Now, it’s Emmy season and, while The Vietnam War has been passed over in the nominations for exceptional merit in documentary filmmaking, Burns and Novick are nominated for directing and Geoffrey Ward for writing of episode 8, the strongest in the series. There is much to commend in the nominated episode. Kent State is sensitively rendered, with previously unseen footage of the May day in 1970 when the Ohio National Guard’s guns were turned on American college students. Army Veteran James Gillam’s comment about the effects of killing another human being - “the other casualty was the civilized version of me” - could stand as a coda for the episode, and for the war itself. And the decisions of Tim O’Brien, Bill Ehrhart and John Musgrave to join anti-war demonstrations – to finally do a march that felt “sensible” and “purposeful” as O’Brien put it – offers hope that America can recover from the wounds of Vietnam. But even the filmmakers’ strongest episode is undermined by their uneven command of the history, best exemplified in episode 8 by a single line of narration on the My Lai massacre. “The killing of civilians has happened in every war. In Vietnam, it was not policy or routine, but it wasn’t an aberration either,” it intones. The preponderance of the evidence shows that the targeting of civilians was both policy and routine. Quang Ngai, the province where My Lai is located, offers a case in point. According to the 1967 reportage of Jonathan Schell, 70 percent of peasant villages there had been completely decimated in the months preceding My Lai, with a civilian death toll estimated at 50,000 per year in that province alone. Schell’s reportage in The Military Half (1968) describes his observations in detail. He reported all of it to Secretary of Defense Robert S. McNamara upon his return to the States. Part-way through Schell’s reporting stint, commanders received an order to stop generating refugees, for lack of room to accommodate them, even as destruction of the villages continued. That could only mean destruction of the villagers themselves. Burns and Novick depict the My Lai atrocities after alluding briefly to the near-total destruction of Quang Ngai. And their coverage of My Lai is devastating. But they fail to drive home the understanding that My Lai fit into a wider and systematic operation of mass murder and destruction of the land and its people.As Americans, we need that level of analysis if we are to avoid other such debacles. The filmmakers give the last word on My Lai to one of the advisors on their film, Tom Vallely (U.S. Marine Corps), who blames the massacre on the actions of rogue individuals, deflecting attention from the systemic nature of the violence against civilians. While the filmmakers have unearthed new material in their quest to tell the whole story of Vietnam, it is illuminating to consider the sources they’ve ignored. U.S. targeting of civilians in Vietnam has been widely documented. Sources from the period, like the Winter Soldier Investigation, would have quickly dispensed with the notion that U.S. war crimes were anything but systemic, had the soldiers’ devastating first-hand accounts been covered in the film. Other contemporary sources available to Burns and Novick included congressional hearings replete with incriminating detail. In the decades since the war’s end, a wealth of primary source research and reportage has been published that reinforces period accounts of the targeting of civilians. Then, there’s the air war. In 1971, journalist Neil Sheehan called the air war “a distinct weapon of terror” and perhaps the gravest war crime of all. From March 1965 through November 1968, Operation Rolling Thunder unleashed 800 tons of munitions a day on North Vietnam, a total of a million bombs, rockets, and missiles. Even more bombs were dropped in the South with estimates ranging from seven million to eight million tons, not to mention 70 million liters of defoliants, as well as napalmand anti-personnel weapons designed to strike multiple victims. Sheehan cites the air war in his video interview on My Lai with Burns and Novick, offering the filmmakers a potential entry point to a broader discussion of U.S. culpability. My Lai was different, he says, “because they were killing Vietnamese point blank, with rifles and grenades. They were murdering them directly. They weren’t doing it with bombs and artillery.If they had been doing it with bombs and artillery, nobody would have said a word because it was going on all the time.” The filmmakers eschew the opportunity to dig deeply into the significance of the air war, choosing to start and end the discussion there. By war’s end, half the population of South Vietnam was homeless, millions of civilians were killed and millions more maimed. That holocaust, along with the destruction of the North and of neighboring Laos and Cambodia, and the American public’s mass outcry against these crimes are deserving of generous treatment in an epic rendering of the war. Episode 8’s shortcomings are reflected in the wider series, which misrepresents the war as a civil war, not a war of aggression. Considering the lengths they went to tell the Vietnam story in its entirety, it is notable that they got this wrong. Perhaps it reflects an unwillingness to challenge the taboo that blocks substantive discussion of U.S. war crimes culpability. All this raises the question of the documentarian’s, and particularly our nation’s most renowned documentarians’, responsibility to the public. The Vietnam War ultimately fails to meet that critical examination test. As the new curators of our collective memory of Vietnam, Burns, Novick and Ward owe the public more critical analysis than they were willing to deliver.